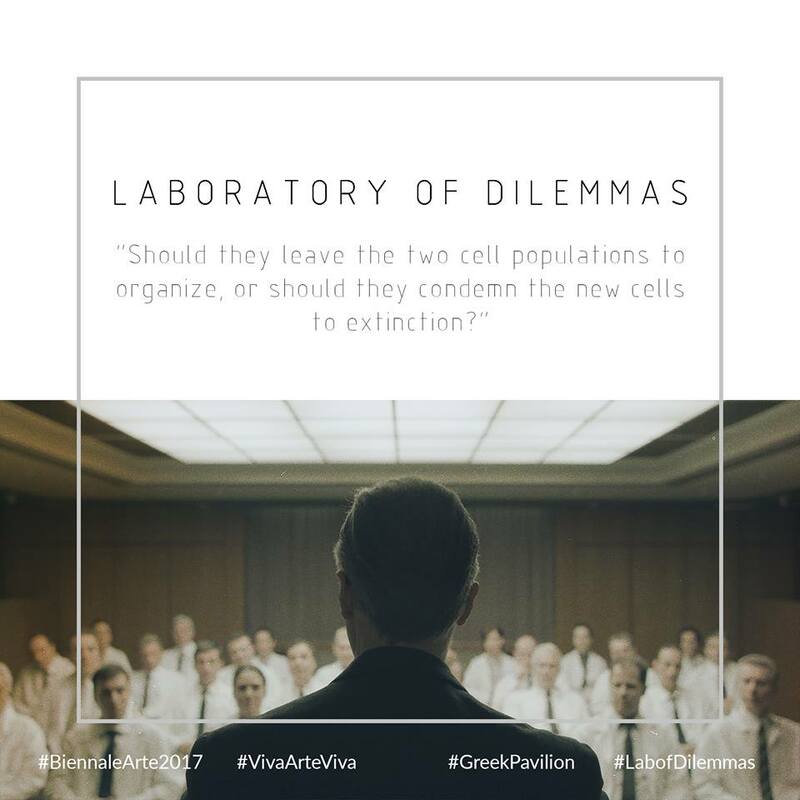 Laboratory of Dilemmas is a narrative video and sound installation based on Aeschylus’ theatre play Iketides (Suppliant Women), which poses a dilemma between saving the Foreigner and maintaining the safety of the Native. 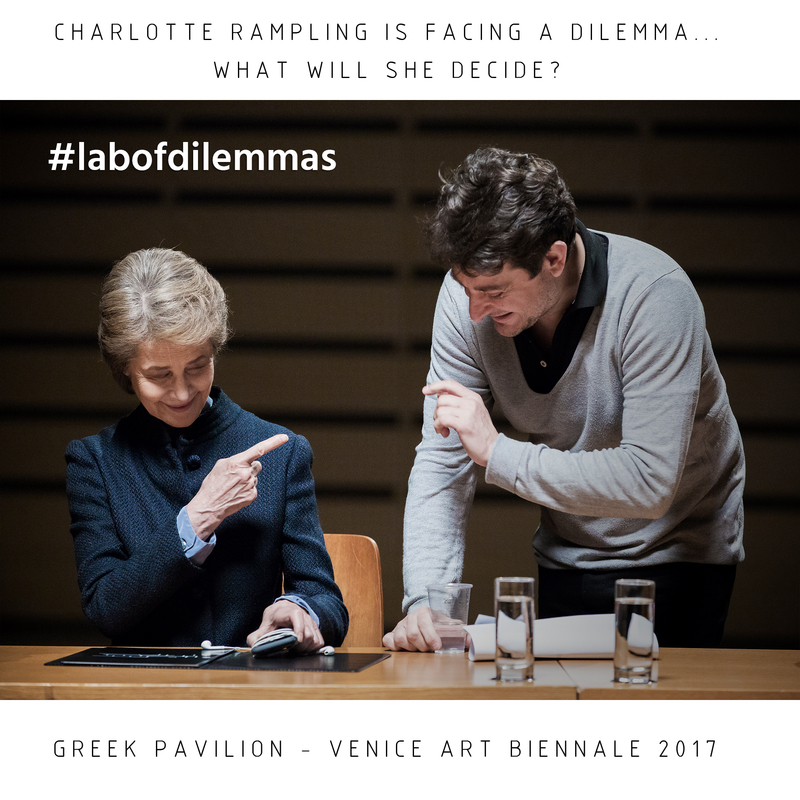 Addressing current global sociopolitical issues, the work deals with the anguish, puzzlement, and confusion of individuals and social groups when called upon to address similar dilemmas. The project is funded by the Hellenic Ministry of Culture and Sports. 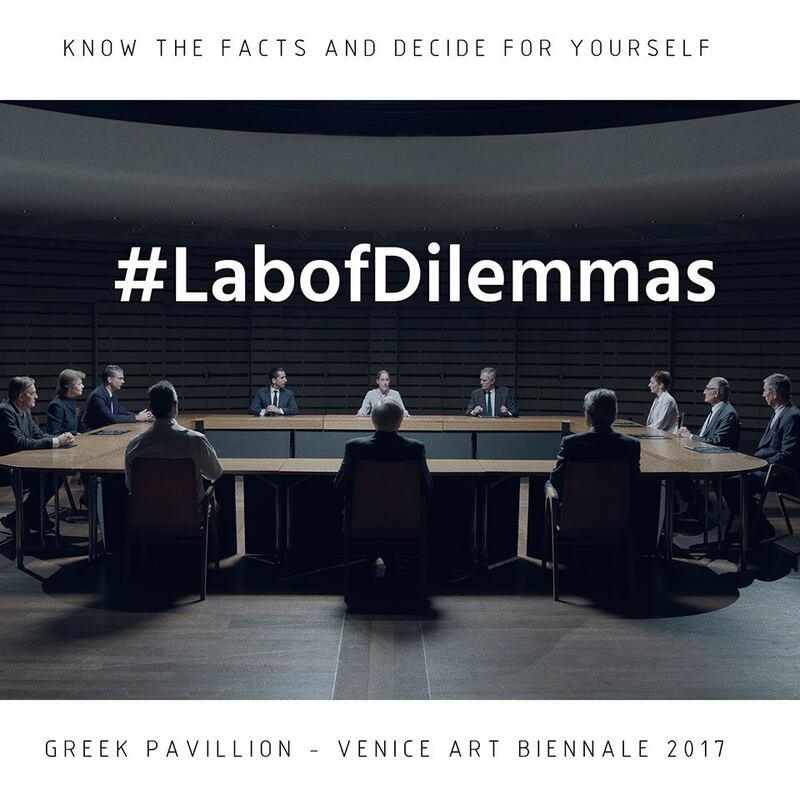 We decided that the best way to promote the Greek Pavilion’s participation is by creating a mystery around the narrative with puzzling posts and quotes leading up to the main event that is the 57th International Art Exhibition – La Biennale di Venezia. 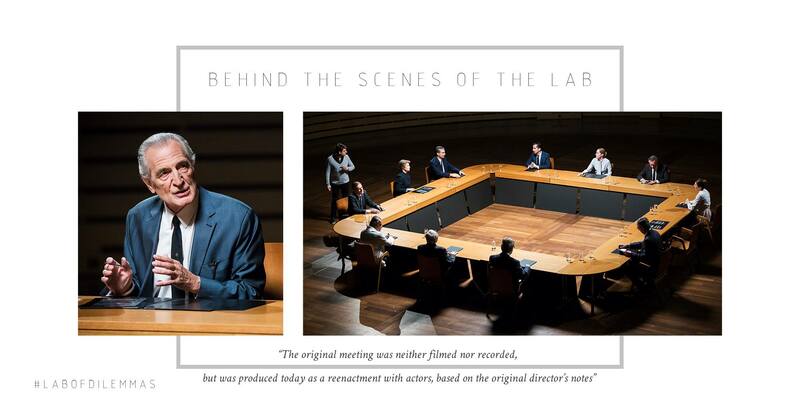 Teasers and a unanimous -yet subtle- branding and imaging were the strongest points of this campaign as the copywriting part was mainly based on the final video’s abstracts and the related press. All communication and info diffusion took place in both English and Greek. 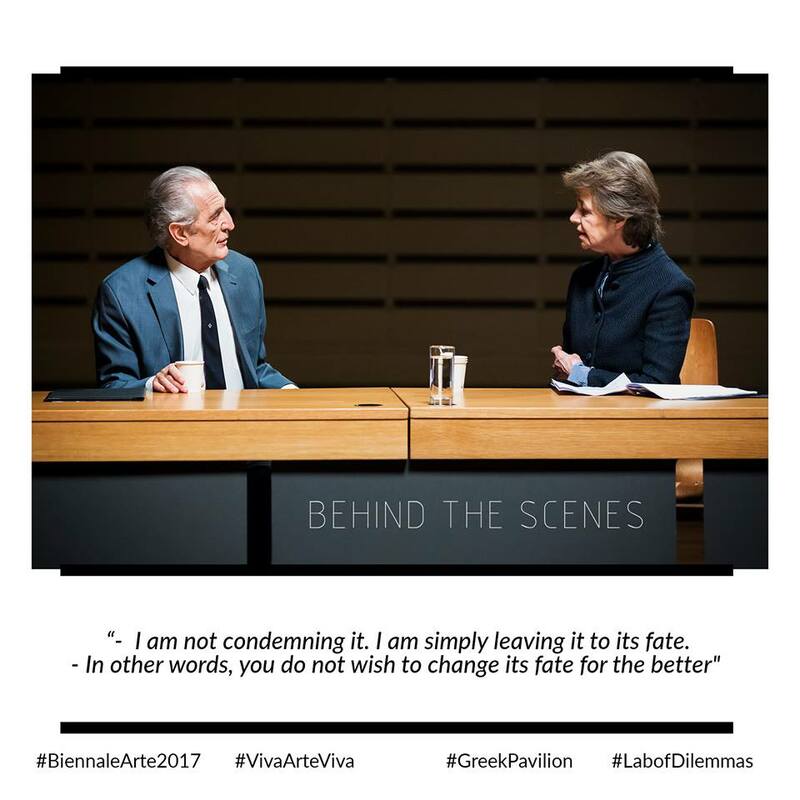 The exhibition in on until 26 November, 2017 and the Greek Pavilion made quite an impression to the visitors and ineternational press. For those of you not planning to visit Venice, here’s a peek of the pavilion! 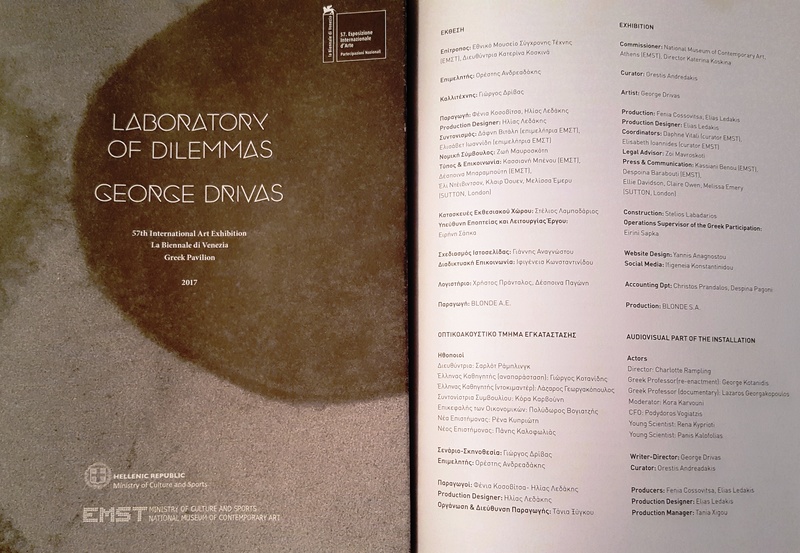 It was a pleasure for us working with George Drivas (the artist) and Orestis Andreadakis (the curator) on this extremely intriguing project.